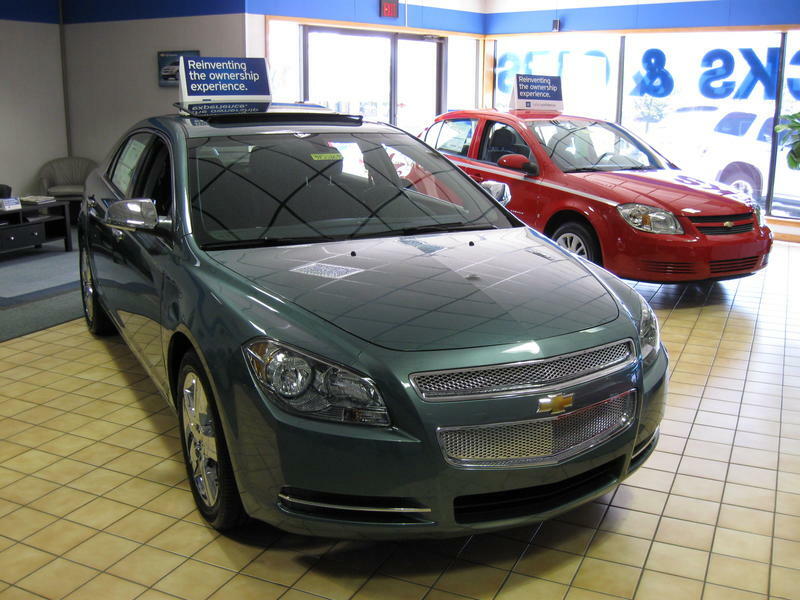 New cars sit on display at an Okemos Chevrolet dealership. Honda, Nissan, Ford and Volkswagen all reported U.S. sales gains last month, with Ford beating General Motors for the first time since March of last year. GM sales fell 1.5 percent, while Toyota fell 0.5 percent and Fiat Chrysler dropped about 1 percent. When major automakers finish reporting sales on Thursday, analysts expect the industry to eke out a small gain in May after falling 2.4 percent from January through April. Automakers sought to reverse declining sales with better deals, especially during the Memorial Day holiday weekend, said Dierdre Borrego, senior vice president of automotive analytics at J.D. Power. Incentives such as rebates and low-interest financing were expected to rise about 7 percent to $3,583 per vehicle, a record for the month of May, J.D. Power said. Ford reported a surprising 2 percent increase while Nissan said its sales rose 3 percent last month. Honda sales were up just under 1 percent. Volkswagen sales rose 4 percent over weak numbers last year due to its diesel emissions cheating scandal. But GM sales fell 1 percent from a year ago as strong crossover SUV sales were offset by a big cut in sales to rental car companies. Ford sold just over 241,000 vehicles with the F-Series pickup gaining nearly 13 percent to over 76,000. The No. 2 U.S. automaker outsold General Motors, which sold just over 237,000 vehicles due to a 36 percent decline in low-profit business with rental car companies. On a conference call, Ford predicted that sales would rebound a bit in the second half of the year compared with the first based on low gas prices, interest rates and unemployment, high consumer confidence and a relatively high age of cars now on the road. "What we need to be low is low," said Vice President of Sales Mark LaNeve. "What we need to be high is high." He predicted that second-half sales would be about the same as last year, meaning that full-year sales likely will fall from 2016's record of just over 17.5 million. LMC Automotive and J.D. Power reduced their forecast for the full year from 17.5 million to 17.2 million. A decrease would be the first in seven years, but a drop of 300,000 still leaves the industry with a healthy sales rate coming off last year's record. LMC and J.D. Power predicted a 0.5 percent increase to just over 1.5 million vehicles for May, while Kelley Blue Book predicted a 0.2 percent increase. Nissan said it sold just over 137,000 vehicles led by the Rogue small SUV with nearly a 19 percent increase. Car sales fell 10 percent but truck and SUVs rose 18.5 percent. The Rogue is likely to be the top-selling vehicle in the U.S. that isn't a pickup truck, deposing the Toyota Camry, a midsize car that normally is the leader. J.D. Power's Borrego said the big incentives being offered means automakers are grappling with growing inventories. The average amount of time a vehicle sits on a dealer lot was 71 days in May, the first time it was above 70 days since 2009, according to J.D. Power. Ford said its inventory dropped from an 83-day supply of new vehicles in April to 72 days in May. GM's inventory grew by one day to 101. A 60-day supply is considered optimal for automakers.